Another busy weekend ahead! I love keeping our schedules busy as we get closer to my due date. Less time to spend "waiting" and more quality time with Liam. On this weekend's agenda: meet with my doula tonight, Saturday morning triathlon for Conor, Saturday afternoon BBQ with friends, & all day Sunday to spend with my little family! Here's my (sometimes) weekly five... As always, thanks to all the lovely hosts: Christina, Darci, April, & Natasha! How gorgeous is this tree?! Tons of these trees are lining the streets near my neighborhood! Needless to say, Liam & I have been taking far more walks. This crazy warm weather has led to one beautiful Spring! I'm already itching for my peony to bloom! Recently I have started to notice I have these perpetually tired mom eyes, especially in pictures. Not sure if it's the constant sleep deprivation or the fact that I'm just a year shy of 30 and maybe just maybe I'm getting wrinkles. Regardless, I need to do something about it. 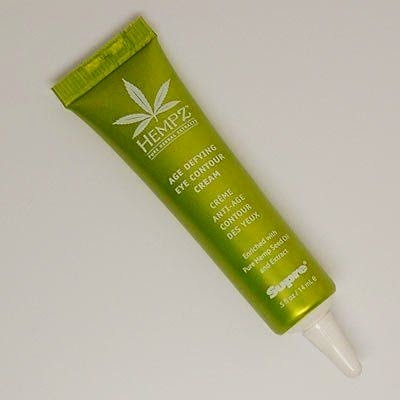 The eye cream I had previous been using (Hempz) is no longer available to me, so I need some suggestions! Tell me what magic anti-aging you gals are using that make you look flawless...or at least not in need of a coffee at all times! Received this little gem for Conor last week. When in the midst of the witching hour, it's the last thing you want popping up on your iPhone... When this happens, Liam & I jump in the car and head to Jamba Juice. Always Jamba! We had our maternity photos (lifestyle shoot) done on Tuesday and already we have received two sneak peeks! I can't get enough and am anxious to see them all! Kali did an incredible job capturing our family! I have an exciting giveaway coming up on Tuesday, so stay tuned for that fun! Your trees are beautiful! Ours are still totally bare :(. And I hate when I get the working late texts... It always means I'm doing bedtime alone and noah doesn't get to play with daddy :(. And I love the two sneak peeks so far too! Have a great weekend! I need those Tory Burch sandals too only not sure my husband would agree!!! Your pictures are beautiful! Ha, yeah I may have to hold off and see if something similar is on the Nordstrom Anniversary Sale! Looooove the sneak peek, gorg! Thanks Emily! I can't wait to see them ALL!!! Obsessed with the maternity photos!! And as for eye creams, I just started using Neocutis Lumiere and it is AMAZING. Kind of pricey though so if you don't want to spend as much, Origins GinZing cream is great, too! Happy weekend! Oh I hate texts like those! Our ones where my husband asks ever so nicely if he can go the baseball/basketball game last minute with a friend who has an extra ticket -- can't say no, but it is SO hard! I've loved seeing you maternity photos -- they're beautifully clear and bright! Share any eye cream tips! I'm feeling so old and haggard! I am LOVING your maternity pictures - keep sharing them!!! I got some Jack Rogers sandals that go with everything and are super cute - they have the same style as TB, but I think they are a little less expensive. (However, I can never turn down some cute TB flats!) I have been using Arbonne eye cream and LOVE IT, and the bottle lasts FOREVER. Have a great weekend!! I have loved your maternity photos so far and can't wait to see more! Also-those Tory Burch sandals have been on my wish list for quite some time! I love springtime for the simple reason of seeing everything come back to life after a long winter. Love it! Oh, I can't wait for our trees to start blooming!! I've seen some little buds this week and I'm so excited. And why is the witching hour when we get home and are trying to make supper..?! I feel ya, momma. Jamba juice sounds like a perfect answer. That last photo is too die for!!! Have a wonderful weekend pretty mama! Ahhh more pictures! more pictures!! We've got a crazy busy April too, which makes me glad because like you, I'm enjoy not thinking about "waiting" and just enjoying all the one on one time we have left with Abigail. The pictures are amazing! As for the blooms, my favorite part of spring - so pretty! Why do they always put the "ugh" after the late remark? Haha to try and pull some sympathy? Loving your maternity pictures and absolutely can't wait to see more! Lifestyle shots are my fav! I am DYING over the sneak peeks that you have done of your maternity photos!!! They are gorgeous. I can't wait to see more! Running late is my least favorite thing to hear. I count on that usual daddy home time!! Good idea heading off for Jamba Juice. The trees do look beautiful! Hahaha, yep, I actually sent out a text similar to that this week. I think it was along the lines of "PLEASE come home." Pretty self explanatory. ;) OMGOODNESS, I've seen your maternity pics on Instagram. They're uhh-mazing! Hope y'all have great weekend! that sneak peek is stunning, i love the 'lifestyle' style of photos, can't wait to see more!